If you’re planning a home or business renovation in 2019 to modernize your space, you need to learn about the latest luxury hardwood flooring trends that will elevate your space. Engineered hardwood flooring is a beautiful and versatile addition for nearly every room, and the latest flooring colours and style trends will help you create the luxurious, warm, and inviting environment you’ve been dreaming of. Flooring is the foundation of your space. Ideally, your flooring should be a neutral but modern colour that will work with a variety of paint colours and styles, as your decorating tastes evolve over the years. Flooring trends for the upcoming year will favour sophisticated grey tones that are more visually unique than common brown wood tones. However, earthy brown shades are also a beautiful flooring option if you prefer a more classic look. 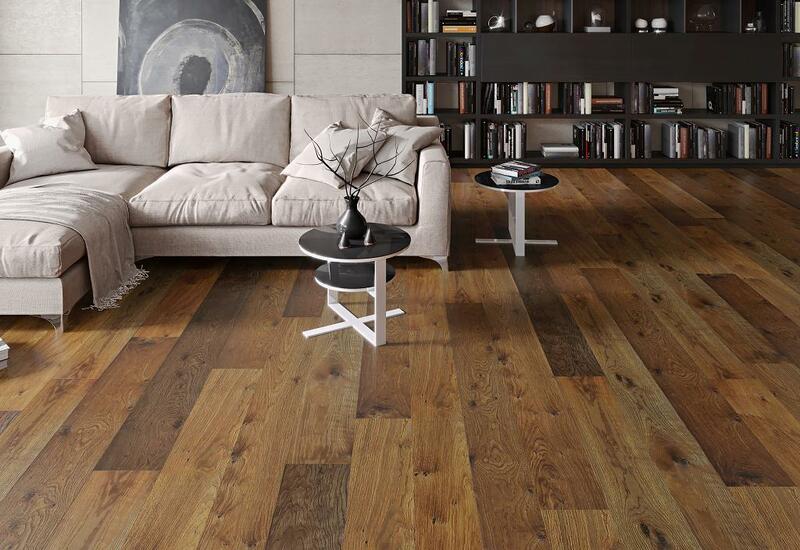 Whether you choose a light or medium tone for your new wood flooring, these shades will provide the perfect neutral base for your space and play perfectly into another 2019 flooring trend: the rustic aesthetic. In the past, the attractive, natural appeal of hardwood wooding was commonly masked with high-gloss finishes and dark stains. However, 2019 embraces the rustic aesthetic that hardwood flooring can provide. This includes matte finishes that showcase the wood’s natural texture, and showing greater appreciation for the beautiful variations within the wood, such as its knots and dimension. Wide plank hardwood flooring is a particularly good choice to achieve this aesthetic, as the extra-long and wide planks add rustic appeal and can make every room look more spacious. The third trend for 2019 is appreciating the long-term value that quality flooring brings. While flooring options such as vinyl and laminate offer an inexpensive “fix” when you need to replace your flooring, these materials don’t have the lasting power necessary to elevate the appeal of your space. High-quality hardwood flooring will offer enduring beauty and add value to your home or commercial space. What’s more, long-lasting hardwood flooring also contributes to less waste, as your flooring won’t need to be replace as often as imitation wood. European Flooring’s engineered hardwood flooring helps reduce your environmental impact while enhancing nearly every aspect of your space: from style and appearance, to value, to longevity. Our engineered hardwood flooring is also eco-friendly and sustainably harvested, which is especially important as we grow to understand the importance of living a sustainable lifestyle. As engineered hardwood uses only precious, old-growth wood for the top layer and new-growth wood for the inner layer, less valuable wood needs to be used. This allows engineered hardwood flooring to cover up to 5 times the area of solid wood. Our finishes are also free of harmful Volatile Organic Compounds (VOC), which contribute to air and environmental pollution. 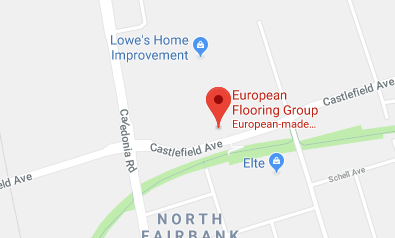 If you’re looking for hardwood flooring that is both trendy, modern, and classically beautiful, you can explore European Flooring’s quality luxury hardwood flooring at our spacious Toronto showroom. From wide plank hardwood flooring, to white oak flooring, and chevron and herringbone designs, we have a large variety of flooring options to suit every space. Contact us today to learn more and book a showroom appointment with our flooring experts. Why You Need A Certified On-Site Inspection Before Beginning Your Flooring ... Is Wide Plank Flooring Right For Your Space?